In 1897 a young American woman named Margaret is attending school in England when she is transported to a place of magic. Through her eyes we experience the unfolding of this strange universe - its life, its history, its customs, and its people. As Margaret struggles to comprehend the world into which she has been thrust, she also must learn to handle the new abilities, training, and feelings which she encounters on her journey of exploration. 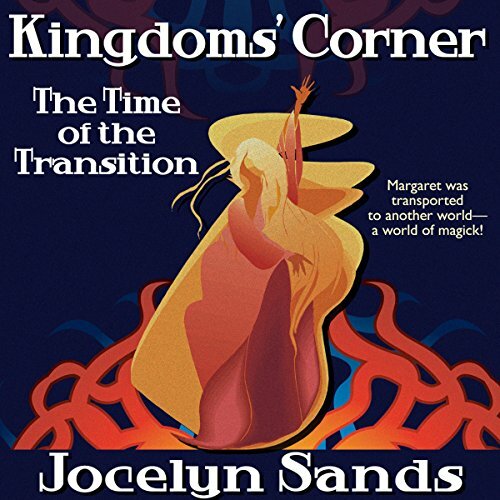 Filled with music and poetry and dance and life, Kingdoms' Corner is the brilliant creation of a rising talent. ©2007 Jocelyn Sands (P)2012 Audible, Inc.